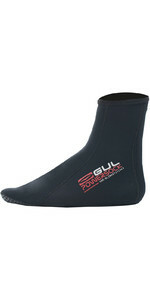 The Gul Power Sock designed using 0.5mm Dura-Flex neoprene, Titanium 2 lining and Flatlock construction. Featuring Free-Flex heel and ankle entry system and grippy Dura-Skin sole print. These socks work great inside your boots for extra warmth!